Found in a supermarket on the fruit and vegetable section. Some produce imported from Africa and South America, so I am clueless to whether it is a local spider or it hitched a ride? It is just over 3cm (inch and a quarter) in length. Yes, a type of wolf spider (Lycosidae). 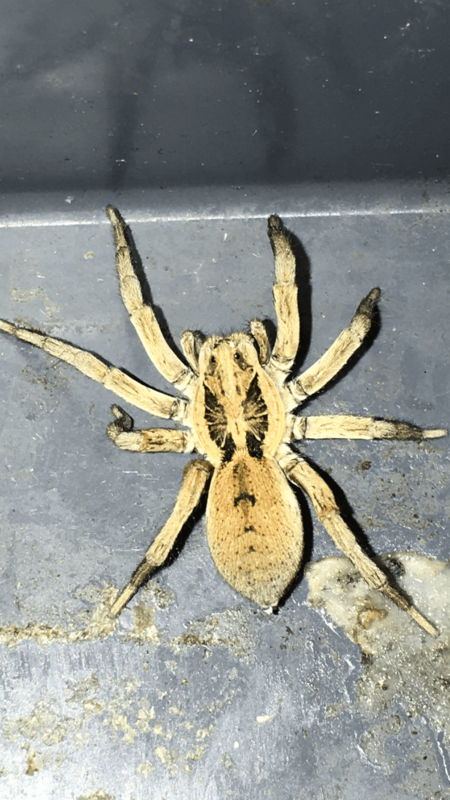 We have wolf spiders in the UK, but none of ours are as large as those found elsewhere, although Europe’s largest spider is Hogna ingens, a type of wolf spider found in Madiera. They can be big but they are all harmless.